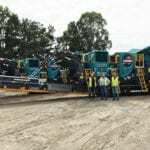 Original equipment manufacturers (OEM) Lincom Group and McLanahan Corporation have signed a contract that will see the former become the official Australian distributor of McLanahan’s sand and aggregates processing range. This includes the distribution of McLanahan machinery designed for washing and classifying, tailings and water management and dewatering that will benefit both parties. The collaboration will increase Lincom’s product offering while offering new distribution channels for McLanahan. Lincom and McLanahan are both family-owned companies with extensive experience in the materials handling and material processing fields in the mining indudstry. The partnership would bring more McLanahan products and installations in the market, according to Lincom chief executive Stephen Watterson. “As a leading provider of material processing equipment, we are always looking into the best quality equipment for our customers and to machine plant that complement the range we already successfully provide,” Watterson said.